The one, the only Monica Nelson from the groundbreaking band The Obituaries is back with a fantastic new project, Monica Nelson & the Highgates. Featuring John Alan Naylor on guitar, Joe Sanderson on drums and Jeffrey Larson on bass, the Highgates’ sound is dark, pensive, steeped in grunge but not without hope and the possibility of eredemption. 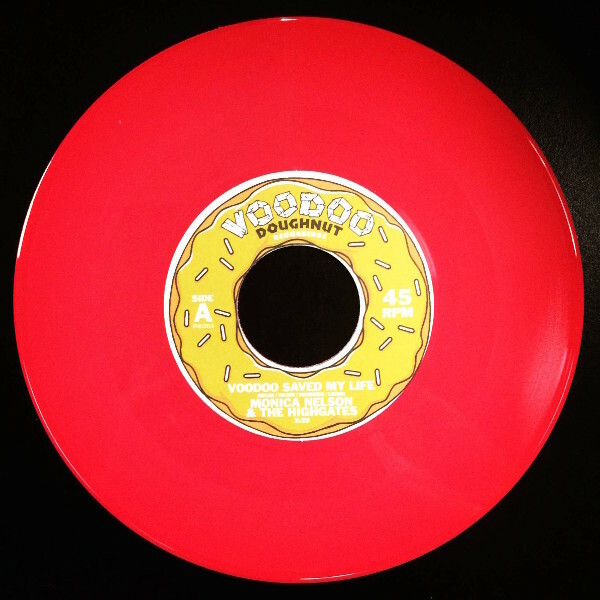 Side A, “Voodoo Saved My Life,” is a doughnut-inspired single headed for the top of the pastry charts. The B-Side, “Love Is Hell,” is a blues-inflected ballad full of longing with a terrific vocal performance by Monica. 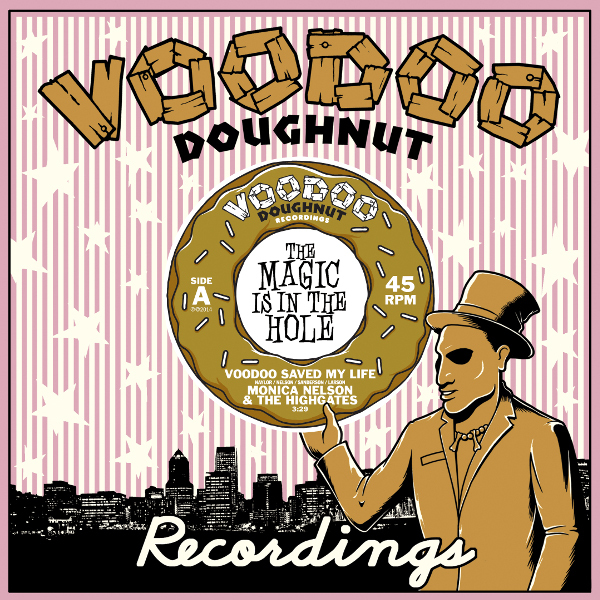 ©2019 Voodoo Doughnut Recordings. Made with ♥ by Quarkspring.